New York City politics might seem convoluted now, but for nearly a century the city was governed by the Board of Estimate, an eight-member body as opaque and sinister as it sounds. On March 22, 1989, the U.S. Supreme Court declared the Board of Estimate unconstitutional. The subsequent revision to the City Charter created the political system we still have today. Twenty-six years after the Court’s decision, I reached out to a few of the attorneys involved with this landmark case to get their take on whether this was a major turning point for the city. Richard Emery was driving in his car when the idea for a lawsuit hit him. It was 1982, and a federal court had just declared New York City’s “at-large” councilmembers unconstitutional. At the time, New Yorkers were represented by 35 local councilmembers, along with ten at-large reps, two per borough. The court held that this violated the principle of “one person, one vote,” which, despite sounding like a sacred democratic principle, had only been a requirement in local government since the Supreme Court’s decision in Reynolds v. Sims two decades earlier. Emery, an ACLU attorney in his mid-30s, and his colleague, Art Eisenberg, debated whether the courts would apply a similar standard to the Board of Estimate, which had a far bigger impact on city life than the City Council. The Board of Estimate had run New York City politics since the five-borough consolidation of 1898. Comprised of the mayor, comptroller, city council president, all of whom were elected citywide, and the five borough presidents, the Board of Estimate was responsible for land use, city contracts and budgeting. Most citizens never saw the Board of Estimate in action, testifying in front of their proxies while the real power brokers cut backroom deals. That charge was validated when U.S. Attorney Rudy Giuliani rained down a hailstorm of criminal indictments on elected officials across the Bronx, Brooklyn and Queens, a tale of corruption told masterfully by investigative journalists Wayne Barrett and Jack Newfield in City for Sale. The corruption scandal wrecked Mayor Ed Koch’s third term, but not before he set in motion two commissions that dramatically shaped New York City politics to the present day. 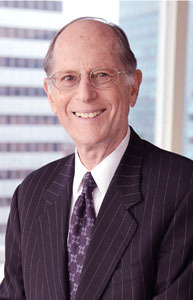 Frederick A.O Schwartz, Jr. (descendent of the toy retailer), whose brilliant legal career included uncovering CIA assassination plots, had been named by Koch as New York City’s Corporation Counsel in 1982. The “Corp Counsel” represents the city in everything from sidewalk slip and falls to massive municipal contracts. By 1985, Schwartz was pretty sure that the Board of Estimate was losing in court, and advised Koch to plan for an alternative. 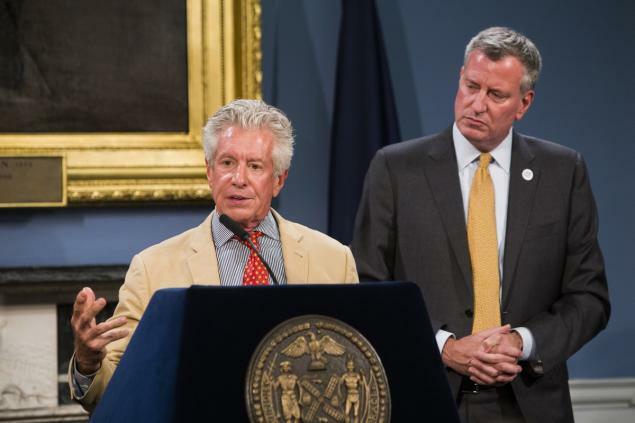 Koch appointed legendary New York crisis-fixer Richard Ravitch to head a City Charter revision commission. That commission ultimately recommended the creation of the city’s first public financing system for elections. Peter Zimroth. Photo by Arnold & Porter. Meanwhile, Emery and his plaintiffs won a string of federal court decisions before the U.S. Supreme Court agreed to hear the city’s appeal. 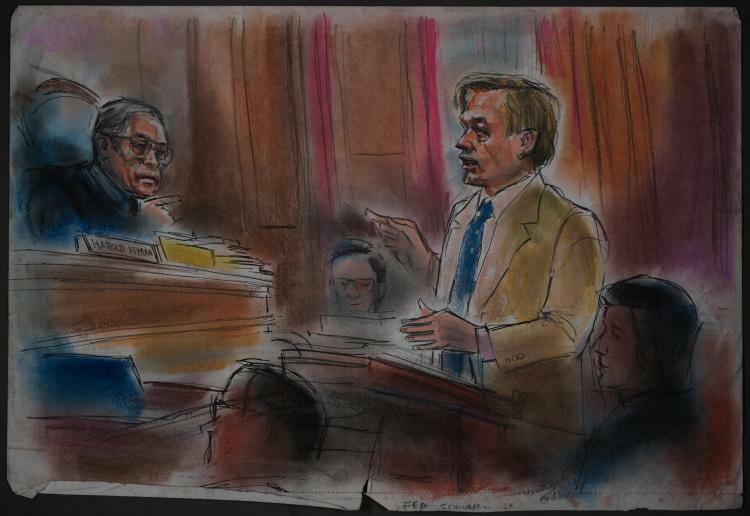 For oral arguments in 1988, Emery faced off against the city’s new Corp Counsel, Peter Zimroth. Zimroth called the Board of Estimate “the glue which has kept the City of New York together.” Zimroth argued that the Board of Estimate had been a compromise between the many boroughs, villages and towns that had voted to unify in the 1894 consolidation referendum. Though he made other legal arguments, Zimroth hung his hat on the city’s longstanding political support for the Board of Estimate system. During Emery’s argument, some necessary levity was injected when Justice Marshall demanded that Emery name one, then two other cities that used boroughs. On March 22, 1989, the Supreme Court delivered a resounding 9-0 vote against the Board of Estimate for violating “one person, one vote.” Schwartz, who had moved on to private practice, was called back into service to finish the City Charter revision process. The revised City Charter centralized more power than ever with the mayor and expanded the City Council to its present 51 members, a size specifically designed to carve out ethnic pockets of the city that had previously gone unrepresented, like Dominicans in Washington Heights. Schwartz felt that the city’s racial divide was, along with corruption, the biggest crisis facing New York. The Public Advocate position was created as a new counterweight to the mayor. ** On the advice of the commission’s executive director, Eric Lane, the borough presidents were stripped of most of their power. That fall, voters ratified the new charter by a modest 10% margin. One skeptic was Henry Stern, who had himself “been declared unconstitutional” as one of the city’s “at large” councilmembers in 1982. Stern had once quipped, “The Council is less than a rubber stamp, because a rubber stamp at least leaves an impression,” and wondered about giving more power to that body, which Stern reminded me had also been nicknamed “the 40 thieves.” Stern wonders whether the city benefits from focusing on racial diversity in the City Council instead of ideological diversity, pointing out that nearly all the elected officials in the city are now left-wing Democrats. In a generation’s time, the Board of Estimate has largely faded from local memory. When I asked Zimroth whether New York is better off without it, he was circumspect: “So much has changed [in New York]. Some has to do with the Board of Estimate, some for other reasons.” Zimroth’s attributes more importance to the 1988 Campaign Finance Act, which created the city’s groundbreaking public financing system. That law, which Zimroth aggressively fought for as Corporation Counsel, has made it easier for challengers to enter the political fray by limiting the role of big money and political bosses. For Richard Emery, the Board of Estimate’s mystery is what allowed corruption to run rampant: “People in power loved it, and people out of power didn’t know about it.” That maxim is probably still true of much of politics today. **(Update): Some say that that the Public Advocate position was created to maintain the Council President position, and/or to specifically help the then-Council President Andrew Stein. I have heard this from knowledgable people over the years, though never had proof.